Need to review previous chapters? 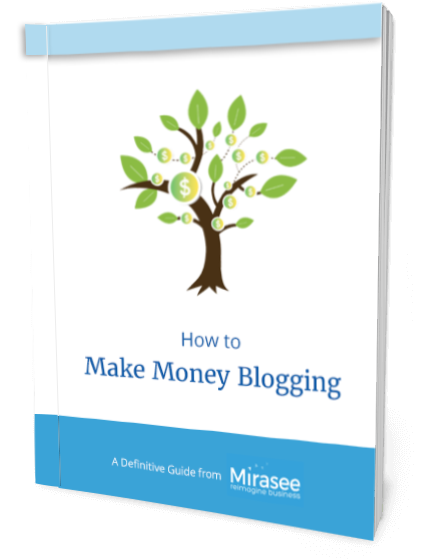 If you want to make money blogging, the key is monetizing your blog. We’ve already discussed your blogging strategy (chapter 5). Now it’s time to talk about the technology you’ll need. You must get your technology built out correctly. Fortunately, with the right blogging technology you can set it up even if you’re relatively new to digital technologies. And to help, in this chapter, we review some of the most common tools you can use to monetize your blog—so you can use to get paid on a regular basis, and know how to use them. But before we dig in, share this report with your friends and followers. Monetizing a blog means having something to sell and knowing how to sell it on your blog. That said, you need to be clear about what you’re going to sell and how you’ll take payments online. You need two things—and only two things—to take payment online for your products and services. You need a way to collect money from your customers. You need a way to provide transaction information, like receipts and possibly download links. You will also probably want to have your customers on a specific list or give them access to certain parts of your site. You could do this manually, but it will be better to automate this part of the process. You might be fine doing it manually with a few customers, but once your business grows this could become a major task and a major potential problem. There are several “moving parts” to processing payments, so let’s define some terms before we go further. Shopping Cart: This is the customer-facing interface—what your user sees and how they order. This can be as simple as a “buy now” button on a sales page, or it can be an actual shopping cart where users click “add to cart” and can then click “view cart” to check out with one or more items in their cart. Payment Processor: This is a company that actually takes money from your customer’s account and puts it in yours. You probably know of a few payment processors, but maybe you didn’t realize they’re called that. If you’ve ever bought something using PayPal or ClickBank, for instance, you’ve used a payment processor to make a payment. Merchant Account: This is when you have the ability to do your own payment processing—many payment processing companies include this. If you’ve ever bought something and entered your credit card into a form without using PayPal or ClickBank, you’ve used the seller’s merchant account to make your payment. Let’s return to our earlier example of selling geckos online at Herp Heaven to understand how the payment process might work. A customer comes to the Herp Heaven website, sees a gecko they want, and clicks “add gecko to cart.” They also head over to your Herp Habitat shop and find a cage they like for their new gecko. Again they click “add to cart.” They finish up their visit to Herp Heaven by finding some food, a couple of plants and a basking shelf, all of which they add to their cart. When they’re done shopping they click on a button that appears at the top of each page and says “View Cart.” They check that everything they wanted is in the cart, including their gecko. They fill out an order form including their name and address. They select the shipping options for those items and agree to the $50 FedEx shipping for their new gecko, and then click “Pay with PayPal,” which is the payment processor Herp Heaven uses. They receive a purchase confirmation and the system informs them that they will also receive an emailed receipt. You receive an email from PayPal stating that you’ve received an order, and the money appears in your PayPal account. You can leave the money in your PayPal account, load it onto a PayPal debit card or transfer it to your bank account. You ship the gecko and the gecko goodies, and the transaction is complete. There are lots of ways to set up taking payments, but the example above is fairly simple. Keep in mind as you’re setting up your payment system that not all shopping carts have payment processors, and not all payment processors work nicely with all shopping carts. It can be complicated, but it doesn’t have to be so complicated that you can’t make it work for you. Remember to keep it simple in the beginning—you’re still testing out your idea, and you’ll learn a lot about processing payments as you set up your business. You might want to check out the article “Five Guidelines for Choosing a Shopping Cart Partner For Optimal Revenue and Customer Retention” for help in choosing a shopping cart. Here are some of the options you have when it comes to setting up payment processing systems. If you’ve been online for any length of time, you’ve probably used PayPal to pay for eBay purchases and possibly to buy information products or other goods and services from individual businesses. As a business (or a merchant, to use the correct payment processing term), PayPal has both pros and cons. On the pro side, with PayPal you receive your money quickly and can transfer it to your bank account, which is good. PayPal is easy for people with a PayPal account to use, and many people trust PayPal, which is also good. It’s easy and fast to set up, and you don’t have to qualify for a merchant account or pay a monthly fee. All of that is good. There are a few downsides to PayPal. Some customers don’t like PayPal and won’t use it. Some people without a PayPal account don’t want to pay with a credit card through PayPal. Also, if you suddenly start doing a lot of transactions and pull in a lot of money in a short period of time, such as during a big launch, PayPal might freeze your account. They may freeze some, half, or even all of your funds until you work with them to prove that your big influx of sales is legitimate. Those things are not so good. PayPal is good for digital and physical products, and you can set up an ongoing payment (called a subscription) so it’s good for membership sites. It’s not as good at allowing you to set up a payment plan with a set number of payments for a big product or service program, so you’ll definitely want to find another option for that kind of offering. Offering PayPal is probably a good idea, especially when you’re starting out, because some people love it. However, you should not plan on offering PayPal as your only payment method. If you do, and PayPal freezes your account for some reason beyond your control, you’ll be out of business until they unfreeze it, which may take a while and may not happen at all. 1ShoppingCart is one of the big players in eCommerce, and offers a full-service solution for businesses. As with PayPal and all of the other options, there are pros and cons. Let’s talk about the pros first. The shopping cart portion of 1ShoppingCart can handle virtually any type of product, whether physical or digital. It’s already set up and ready for you to use without any technical knowledge and without needing to install anything on your computer. Because 1ShoppingCart is a service rather than an application, it runs on 1ShoppingCart.com’s servers, and they handle all of the security of your clients’ information, just like PayPal does. 1ShoppingCart offers an autoresponder, so that when someone buys a product or service you can add them to an email list. You can also do this using your AWeber account, but it’s a nice plus in 1ShoppingCart. Another feature 1ShoppingCart offers is ad tracking, so that you can track all of your shopping cart buy links, your ads, and your affiliate links and banners. Again, you can do this with other programs if you wish, but it’s a nice feature. If you offer several shipping options or want to offer recurring billing, 1ShoppingCart will do that for you, as well. 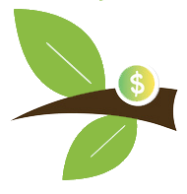 1ShoppingCart also has an affiliate management program built in, so if you decide to offer commissions to affiliates you won’t need to set up a separate program. Note that you can use another system to manage affiliate payouts, if you prefer. 1ShoppingCart doesn’t actually allow you to accept credit cards online. For that, you’ll need to set up a merchant account or a gateway. Don’t worry, sounds technical but it’s not! We’ll explore that what means in the cons section, but for now we want to point out that 1ShoppingCart makes it really easy to set up a merchant account or gateway. Those are all pros. Let’s talk about the cons. 1ShoppingCart doesn’t actually offer payment processing. It provides an interface, or shopping cart, for payment processing. You’ll need a merchant account or payment processor to use 1ShoppingCart. You can use PayPal with 1ShoppingCart, if you choose. 2Checkout also works with 1ShoppingCart, and many merchant accounts work with 1ShoppingCart. If you have a merchant account and aren’t sure if it will work, contact your account issuer. While some shopping cart options are free or very low cost, 1ShoppingCart starts at $34/month after a free trial. This is not a huge issue for most people, but if you’re on a tight budget you might want to keep it in mind. 1ShoppingCart is not particularly useful for offering digital downloads to your customers. There is a limit of 7mb per file, and links can only be used once and expire after 24 hours. If you’re thinking of using 1ShoppingCart, you probably won’t want to offer your downloads through their service. So those are the positives and negatives of 1ShoppingCart. Should you use it? It’s great if you offer physical products and need your shopping cart to handle shipping and tax calculations. It’s okay for selling digital products, if you host them elsewhere. Since it handles recurring payments it’s probably good for services and membership sites as well. If you have a way to accept payments, 1ShoppingCart can give you a nice shopping cart and ordering interface. Where 1ShoppingCart is primarily a shopping cart without a payment processor, 2Checkout is a payment processor without a shopping cart. It integrates with a huge number of shopping carts and lets you set up “Buy Now” buttons without using a shopping cart. Now let’s look at the pros and cons. 2Checkout lets you accept payment without signing up for a merchant account. Unlike a merchant account, you don’t have to qualify for a 2Checkout account, and there’s no monthly fee. 2Checkout takes a fee from each transaction, just like PayPal does. The fee, last we checked, was the same as PayPal’s fee. With 2Checkout your customers pay with a credit card, and they don’t need an account with 2Checkout to pay. There’s no signup fee with 2Checkout, so you can set up and start selling with no costs upfront. 2Checkout works with dozens of shopping carts, including some that may be installed on your server and some that are hosted by their parent companies and require no setup. Some shopping carts are free to use and others, like 1ShoppingCart, require a monthly fee. You can use 2Checkouton a sales page without a shopping cart by setting up a “buy” button on your sales page. On the negative side, 2Checkout is not as easy to use as it should be. It’s sometimes hard to find things on the site and figure out how to do things. You can get around this by searching Google for 2Checkout plus what you’re looking for. Their support team is also very helpful when you ask for help. With recurring billing and the ability to work with a variety of shopping carts, 2Checkout is good for digital and physical products as well as services and membership sites. WooCommerce, from WooThemes, is a WordPress plugin that allows you to set up a shop on your WordPress blog. There are a lot of positives to WooCommerce. It can handle almost any kind of product or service, which is great no matter what you’re offering and really helpful if you’re offering a variety of types of products or services. It has shipping and tax calculations built into the system, and can generate custom reports on your sales. It also has inventory management built in so you can track your inventory from within WooCommerce without having to set up separate inventory management and tracking software. The main negative about WooCommerce is that while the plugin is free, you will need premium plugins to do some things. For instance, if you want to offer recurring billing, you’ll need WooThemes Subscription, which runs $199. If you’re offering one-off digital products or physical products and you’re using WordPress for your blog, WooCommerce is a good, free option to get up and going. Gumroad, while intended primarily for digital products, can also be used to sell physical products. The big positives about Gumroad are that it’s easy to set up and use, and that it allows you to sell on Twitter, Facebook, YouTube and SoundCloud, in addition to selling through your emails and your blog. With physical products there’s both a negative and a positive. You can sell physical products through Gumroad, but you’ll have to deliver a file to your customers. So if you’re selling a physical record, for example, you’d have to deliver the first song on that record via a digital file. You could also deliver one lesson of a physical course or the first chapter of a book. The other negative with Gumroad is that they don’t support recurring billing. If you’re selling digital products, Gumroad is great for you. If you’re selling physical products and can deliver a small portion digitally, Gumroad will work well for you. If you’re selling services or a membership site, Gumroad is probably not going to work for you. Shopify creates beautiful online stores and built-in payment processing, so you can get up and running with your online store quickly. Pros include great designs for stores. If you don’t know how or don’t want to create your store yourself, you can use Shopify’s templates to create an attractive shopping experience for your audience. Shopify’s rates for accepting credit cards are competitive, and the integrated payment processor means you can set up your store and accept credit cards without fussing with the technical details. Shopify is not free, but its monthly fee of $29 is lower than many shopping carts, and includes access to the payment processor in the deal. On the negative side, Shopify is basically for products and does not support recurring billing. If you’re selling digital or physical products that your customers buy once, you might want to try Shopify. If you’re looking to sell recurring services or products, or a membership program, Shopify is probably not the right choice for you. All this technology can get overwhelming. That’s understandable. But remember, monetizing a blog takes a bit of set-up work. The good news is it isn’t as hard as it seems, and once it’s done, you’ll be able to focus on the fun stuff like creating epic blog posts and engaging with your audience. These blogging tools integrate with the shopping cart to help you create a good customer experience by delivering the product after someone has bought it. Now, there are a few ways you can do it, depending on what you’re selling. Here are some of your options. You probably use WordPress for your blog, but it’s also great for selling and delivering your products. With WordPress you can set up a sales page for your product so that your customer can buy right from within your blog. After the sale, WordPress is great for members’ areas. Whether you deliver lessons on a regular basis or provide access to a content bank, you can use WordPress to handle the delivery. Coupled with a membership plugin, WordPress is the perfect solution for offering access to information. GoToWebinar offers another dual-purpose solution for selling and delivering content. You can use GoToWebinar for webinars in which you sell or presell a product or service. These webinars are a great way to get in front of your affiliates’ audiences, and have a high perceived value. You should be using an autoresponder to keep in touch with your audience members. You can also use them after the sale to deliver email courses, ebooks and really digital products of all kinds. You should integrate your autoresponders with your shopping cart to deliver your content or products. Forums make great membership areas. You can use forums with WordPress, but you don’t have to. You can create a forum area that works the way you want it to, either with or without WordPress integration. E-Junkie is a simple affiliate program provider that’s easy to set up and use. It does not support recurring payments, which is a drawback, but it’s a nice little service you might find useful. Depending on your audience, you might consider using Bitcoin, skill swaps and other non-traditional commerce methods. If you’re thinking of doing something unusual, even if that something unusual is PayPal’s BillMeLater, you’ll need to know your audience very well. Specifically, you’ll need to know how they’re comfortable paying for your products or services, and how they will react to anything out of the ordinary. You need two things in order to take payment online for your offerings: a way to collect money and a way to provide a receipt. You’ll most likely want to let customers subscribe to a list or access certain parts of your site as part of their purchase. There are several “moving parts” involved in online payments. You need a shopping cart, a payment processor and a merchant account. Some options include PayPal, 1ShoppingCart, 2Checkout, WooCommerce, Gumroad and Shopify. You will probably also want to integrate services and programs into your selling process. This might include WordPress for membership sites and content vaults, GoToWebinar for webinars, autoresponders for course delivery and forums for community and membership sites. Before you research a payment processing system, write down how you envision your clients going through the check-out process. Refer to our example of Herp Heaven in this chapter. Once you know how you want the process to feel for your clients, choose a shopping cart, payment processor and merchant account. These could all be offered by one software, or they could be two or three technologies that talk to and work with each other. Make sure your blogging technology is ready—your blog set up, your autoresponder ready etc. You may also need an affiliate program so others can help you sell—this is the time you get that going as well.